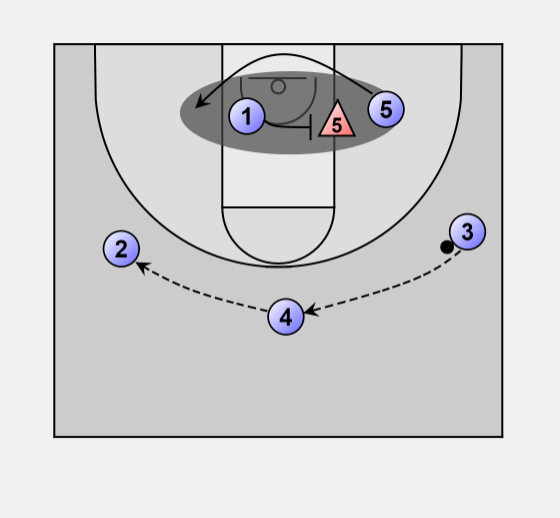 • Ball is reversed to 4 who swings it to 2 who has popped out on 4s catch. 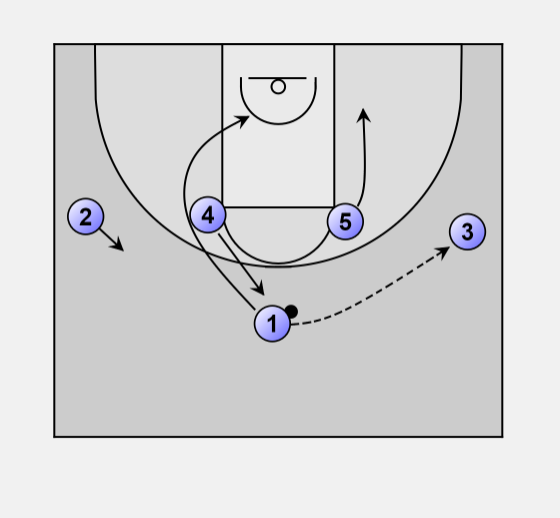 • 1 sets a back screen on 5s defender who spins off to the ball side post. 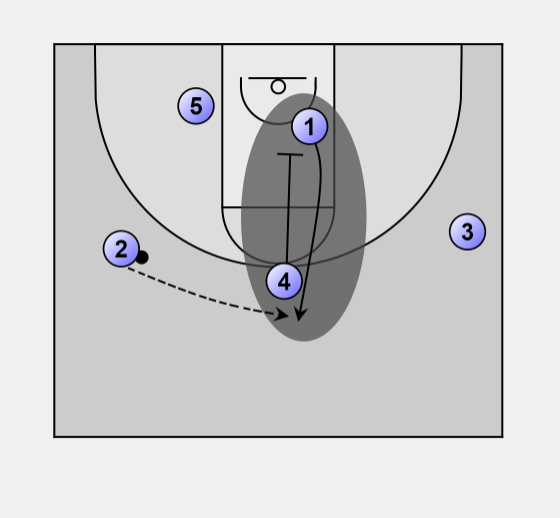 • 5 seals in the post creating the misdirection as 4 down screens 1 to catch and shoot at the top.